Oh, the Humanity! Rahm Emanuel, a preschool teacher? By Kiannah Sepeda-Miller on Monday, June 11th, 2018 at 7:00 a.m.
Chicago Mayor Rahm Emanuel is a frequent resume reciter with an interesting and varied personal biography he is not shy about sharing. There was the time he lost part of his right middle finger after a mishap with a meat slicer while working at Arby’s as a high school senior and then avoiding treatment because he didn’t want to miss prom. There was his youthful passion for ballet, which earned him a scholarship offer from the Joffrey Ballet, which he turned down to attend Sarah Lawrence College in New York. Then came his master’s degree in speech and communication from Northwestern University, his early years as a fundraising wunderkind for Mayor Richard Daley and President Bill Clinton, not to mention stints in two White Houses and three terms in Congress. So we thought we’d heard and read it all until the other day when New York Times opinion page columnist David Leonhardt wrote about Emanuel’s plans to implement universal pre-kindergarten in Chicago. "‘If you're working class, your kids are getting the shaft,’ Chicago's mayor, Rahm Emanuel, who taught preschool in his 20s, told me,’" Leonhardt wrote. 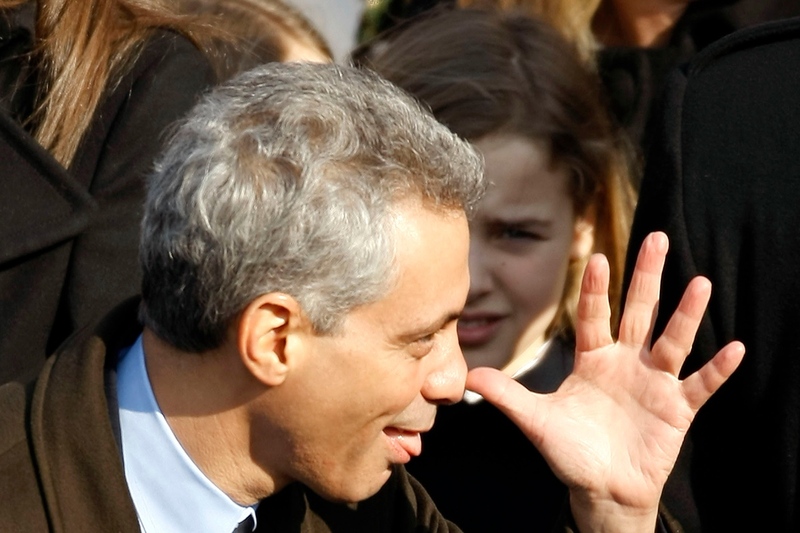 The famously potty-mouthed and short-fused Rahm Emanuel taught preschoolers? That seemed worth checking out. We ran Leonhardt’s characterization of Emanuel’s work record by the mayor’s office. In an email, spokesman Adam Collins proclaimed it "spot on." As Collins explained it, Emanuel spent his first two years at Sarah Lawrence studying early-childhood education while serving three semesters as a teaching assistant at the campus’ early childhood learning center. A 2014 article in the Chicago Reporter cited a Sarah Lawrence spokesperson confirming the same sequence of events laid out by Collins. Strictly speaking then, the teaching preschool story is not a brand new one, just one Emanuel typically hasn’t trotted out in frequent ruminations on his resume. But Mr. Warm-and-Fuzzy he clearly is not. Aside from working with tots at Sarah Lawrence, Emanuel also served as a resident advisor in a dorm where students considered him a Napoleon type and joked the R.A. acronym in his case stood for ‘resident a**hole,’ according to a 2007 biography of the mayor. A former staffer in the Clinton White House has said that he and others often joked "that someone should open up a special trauma ward in Washington for people who’ve worked for Rahm." Emanuel clearly revels in his prickly reputation. In 2009, he returned to Sarah Lawrence to give the commencement speech and receive an honorary degree, which led him to quip that he had recently been awarded another honorary degree in the field of linguistics for his use of four-letter words. At his initial mayoral inauguration two years later, Emanuel told onlookers, "as some have noted, including my wife, I am not a patient man." No he is not, and we are left only to speculate how history might have been different had Emanuel actually pursued preschool teaching as a career path. Emanuel did gain some experience working with preschoolers as an undergrad, but that experience was limited to the sort that college students across the nation frequently engage in to supplement academic interests. It hardly qualified as a regular job or career choice as the column’s phrasing and the mayoral spokesman’s "spot-on" endorsement would appear to suggest.